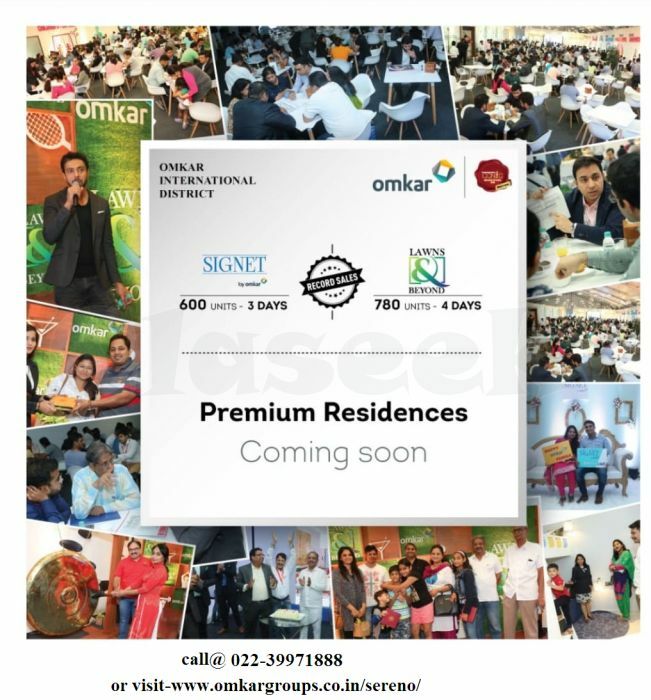 OMKAR SERENO is a New Residential Project, Construction Draft By Omkar Developer At ANDHERI EAST MUMBAI. This Upcoming Project Offering 1/ 2 BHK Flats At Price Starts From 87 Lacs* Onwards, As well as 35+ luxury Amenities, shopping Malls & Much More in Andheri East Mumbai. It's the Right Place You Have always dreamt of Living. Innovative planned 1 & 2-bed boutique Flats will offer breath-taking views of Beautify & landscaped Lawn, the city & the urban Framework across the Development. OMKAR SERENO project holds a Host of Superior Elements like a grand entrance Lobby, Balcony, High-speed Elevators, 3 Tier Safety - CCTV At Entry & Exit points. With so many Facilities Now This is a Right time to Buy your Dream Flats.